If you’re trying to lose weight and are dieting, the holidays can be one of those times that are the most tempting when it comes to trying to stick to your diet. 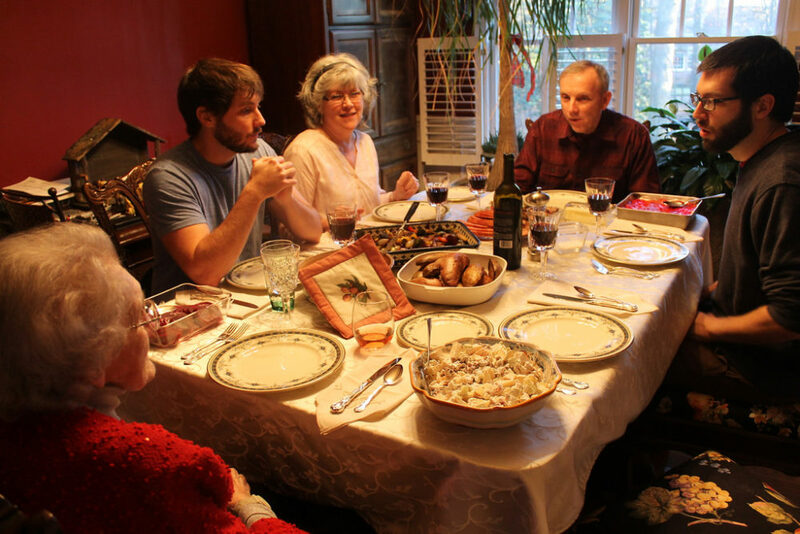 Despite this, there are some things you can do that will allow you to enjoy your holiday dinner even though you’re dieting. Turkey is full of protein — which will help fill you up. And it has zinc as well — which helps to boost your immune system and keep you from getting those nasty winter colds. Turkey is also lower in calories and fats than a lot of the other meats. If you’re concerned about your turkey being dry, use a pastry baster to put a light coat of oil on the bird before putting it in the oven. This will still help to give you some taste, but won’t overwhelm the turkey with extra calories. Also avoid buying a self-basting turkey. They’re are injected with fats and will just help to sabotage your diet. The skin is loaded with calories and fat and eating it isn’t the best way to stay on your diet. While it may taste good, the skin of the turkey won’t fill you up the way the actual meat will. Basically, it adds empty calories to your plate — which won’t help your diet one bit. Now’s a good time to remind you that American portions have in many cases tripled from what they used to be even 30 years ago. This has contributed to the obesity problem in America, while the portion sizes have continued to soar. Keeping your portion sizes down will make it possible for you to get a bit of all your holiday menu favorites without overindulging. Punishing yourself because you’re on a diet by not letting yourself have at least a bit of your favorite dishes is ridiculous. Just try not to overindulge too often. Also be mindful not to over-exercise as a punishment for overindulging. You can definitely sabotage your diet this way! Vegetables are a great way to help you feel full without being so concerned about calories. There are plenty of healthy ways to prepare vegetable side dishes for your holiday spread. Just remember not to fry them or cook them in a ton of oil — and you’ll be fine. One way you can add more vegetables to your holiday dinner is to add more onions and celery to your stuffing, in place of some of the bread. This will help to reduce the amount of calories in the gravy. You can put meat juices in the refrigerator for a bit and the fat will solidify on the top — so it will be easy to remove before making your gravy. Here’s how Martha Stewart makes turkey gravy without the drippings. Keeping these holiday eating tips in mind will ensure that you don’t completely sabotage your diet during the holidays. At the same time, you’ll actually get at least a taste of all your favorite foods — so you don’t feel deprived or as though you’re punishing yourself! If you’re one of the millions that gain 5 to 7 lbs over the holidays, don’t fret – here’s how to lose the holiday weight.